Summary: The least serious of the series was also the highest grossing until 2009’s reboot, and this one deserves it. Why, with whales, of course. Review: ‘The Motion Picture’ had a giant sentient machine, ‘The Wrath of Khan’ had KHAAAAN!, ‘The Search for Spock’ had Doc Brown in Klingon makeup, and ‘The Voyage Home’ has a giant probe that’s looking for whales. This is why I love ‘Star Trek’. Captain Kirk and crew are on Vulcan as per the events of ‘Trek III’, and they’re refurbishing a Klingon bird-of-prey (noticeably, its bridge is completely different from the last time we saw it) to head back to Earth. If you’re wondering why Starfleet won’t just send a ship to pick them up and bring them back to Earth, so was McCoy, and apparently its because they want the Klingon tech. Well, whatever, Starfleet. Why not just pick them up and pick up the ship later? Do you not trust the Vulcans? So with no Enterprise to take home (Kirk blew it up to defeat the Klingons in ‘III’), and other considerable charges against him, the future does not look bright for everybody’s favorite crew. They’re going to be sent away to some mining colony, McCoy assumes, but no-one knows what will happen when they reach Earth. They take off, along with the resurrected Spock, who is regaining his memories. Meanwhile, Earth is beset by the signals of a huuuuuuuuuuge space probe, which is directing its communications to the Earth’s oceans. Once Kirk and crew find out, Spock is quick to reveal that the probe is attempting to reach the now-extinct population of humpback whales. With the Earth doomed to unintentional destruction at the probe’s proverbial hands, Kirk orders a slingshot around the sun, a tried-and-true method of time warp in ‘Trek’, with the hope that they can pick up some whales from Earth of the past. This is the most lighthearted entry in the series, as has been said. It manages to take an environmentally friendly message about saving the whales, along with a fish-out-of-water situation for the time travelers, and builds them into a surprisingly well done movie. The effects are used sparingly and are of a much higher caliber than ‘The Search for Spock’, the music by a once-off ‘Trek’ composer gives it a sense of identity and wonder, and the cinematography feels much more natural and isn’t as overlit at the previous movie. Definitely an improvement. Summary: Somewhat lackluster, it pales in comparison to its predecessor but managed to help get the franchise back into the status quo. Wait, how can you miss him? He's RIGHT! THERE! 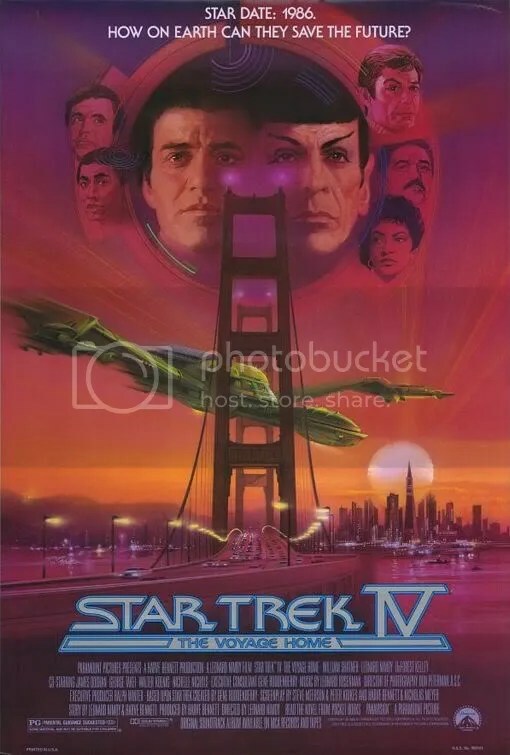 Review: After Leonard Nimoy successfully lobbied for the death of his character, Spock, in ‘Star Trek II’, there was fan outcry that balanced out the very high critical reaction to the aforementioned movie. Suddenly, it seems, Nimoy realized how much he enjoyed being a part of the ‘Trek’ phenomenon, and so the Sequel was made. Picking up right after ‘Trek II’ ended, the film has a fairly contrived – though not completely alien from the ‘Trek’ mythos – method of bringing Spock back. The sad thing is, the subplots don’t connect well enough with the central premise, making the urgency feel forced. Spock’s absence is practically tangible. The other characters feel out of balance, and I was just waiting for the various obstacles to be over so that the ‘Trek’ universe could be set right again. It’s a missed opportunity, that feeling, as I doubt I’m the only person who felt that way. They could have capitalized on it more than they did. The next thing that the film suffers from is low production values. It uses less stock footage than its predecessor, but the new effects are fair-to-middling. All in all, this film was a necessary step to restarting the franchise, but it didn’t add too much on its own. Still, fairly enjoyable, with a good balance of humor, action, and drama. Summary: Wound up tight, Hitchcock’s remake of his own work delivers heart-wrenching tension, with a spectacular cast. They are shocked that you have not seen this movie. Review: Like Hitchcock’s other hits, it’s massively influential. How could Hitchcock make something that wasn’t influential? It’s a nigh impossibility. Hitchcock is so awesome that, apparently, he could take his earlier works and remake them so they are awesomer. So what’s so awesome about this? Hitchcock had a way with simplicity. There’s not very much plot. If you stuck the same details in a ‘Bourne’ or ‘Bond’ movie, you’d probably get about 30 minutes out of it. That’s not to say the plot is thin, it’s just adequate. 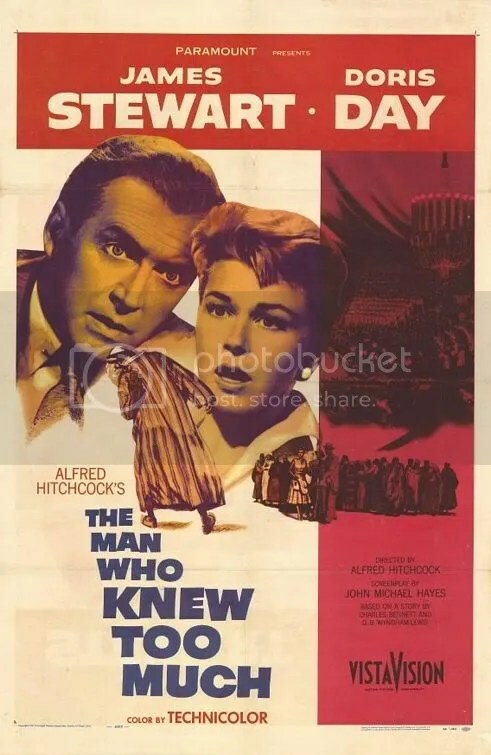 What keeps you involved is Hitchcock’s attention-arresting techniques, and it carries the whole movie, allowing you to ignore moments that don’t necessarily make logical sense (dubbed “icebox moments” or Fridge Logic) and creating a sense of uncertainty. The lead roles all do a spectacular job. Every character has more depth than they let on. Oh, and Doris Day is insanely attractive. And she can sing. The plot is not something I’d like to spoil, so I’ll just leave that out. More important to know is this: The movie earns its happy ending. There’s no sudden plot holes to force a satisfying conclusion, it just works. Artistically, it’s pretty strong as well. Bernard Herrmann gets to appear on screen in a remarkably deliberate cameo as a conductor, but both on and off screen his music does its job well, but is unobtrusive. The cinematography begs for a wide screen television — or a silver screen. Especially the sequence with Herrmann conducting an orchestra. Not the most spectacular Hitchcock film, I felt. But definitely one of the better thrillers ever produced. Summary: Though it feels like a forced fan production at times, ‘Salvation’ manages to provide solid action sequences and some decent character development. All in all, a good prequel/sequel, but a bad stand-alone film. This could either be a really good or a really really bad thing. Review: It seems like the ‘Terminator’ franchise has taken a huge dive off a cliff. Going from the visionary James Cameron to whoever-it-was that did ‘T3’ to McG (and no Arnold in the starring role) seems like it should doom the series. Well, where were we? At the end of the movie, the emotions do seem to come through. Connor’s stoicism is broken by Marcus’ efforts to save him, and Marcus himself becomes a Truly Good Guy. It ends on a cliffhanger for the next film, which caused me to (mentally) facepalm. I thought they didn’t want to take risks? First you keep it from moving creatively into completely unknown territory, next you make it PG-13, and then… your ending banks on a sequel that may never come!? Whaaaaat!? Can’t they see IT’S A TRAP!? Ah, hazelnut. At least they finished Marcus’ character arc — and since this is an, er, interesting prequel, they can just let it end here, I guess. But we still haven’t seen the full breadth and depth of John Connor’s supposed awesome-coolness of excellence, which we DID! get a glimpse of this time. 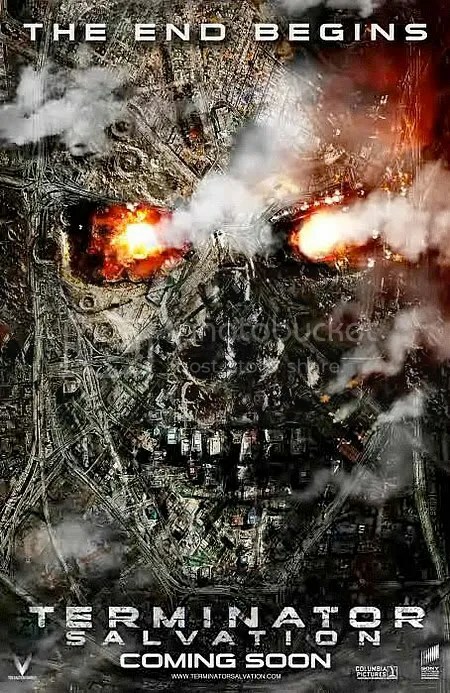 You know what my ideal ‘Terminator’ finale would be? Showing John Connor save the world, by making peace with the machines, which offer to give humanity comfort in the absence of the green, living world they knew… by plugging them into ‘The Matrix’. Summary: The filmmakers took the spirit of the original ‘Star Wars’ trilogy, with its high flying adventure and gripping emotion, and deftly fused it with the ‘Trek’ mythology and philosophy. The resulting film is as epic as the franchise itself. 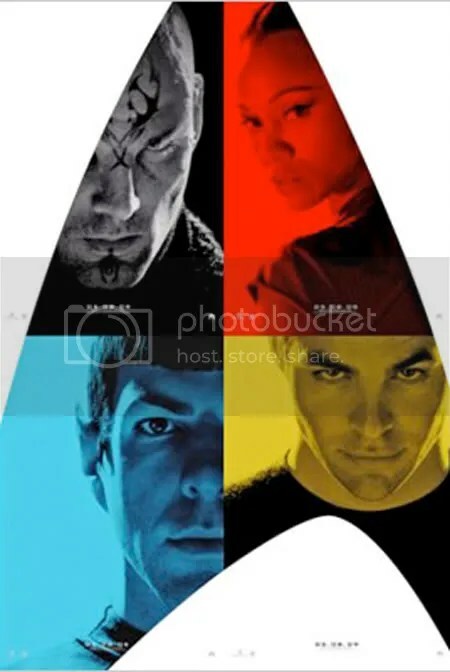 Review: One of the longest running sci-fi properties, ‘Star Trek’ was created by Gene Roddenberry with the intention of telling exciting, adventuresome stories with moral parables embedded in them. It took off against all odds, and eventually produced 6 television series and 10 movies. And the unthinkable happened… it lost steam, and fans dropped off, dissatisfied. After the last feature film, it was very evident the franchise needed new blood and a new face. Paramount eventually hired innovator J.J. Abrams, mostly known for his creation of television series such as ‘Lost’ and ‘Alias’, to reboot it. Not a ‘Trek’ fan himself, Abrams sought the help of known fans in the development process, eventually warming to it and embracing it utterly. They took the spirit of the original ‘Star Wars’ trilogy, with its high flying adventure and gripping emotion, and deftly fused it with the ‘Trek’ mythology and philosophy. The resulting film is as epic as the franchise itself. A brave new cast, a brave new crew, and a brave new tone dominate it. It’s unlike any other summer movie, except ‘Star Wars’ and ‘Raiders of the Lost Ark’. Yes, it’s on that level. The action is spectacular, going where no sci-fi movie has gone before, with unbelievably well-rendered special effects. It’s photo-real. The story is strong, not the best in ‘Trek’ history, but still very cathartic. There are minor plot holes, due to the extremely complex time travel narrative, but no more than other similar films. The new cast all fit their roles pitch-perfectly. Chris Pine embodies James T. Kirk without being an imitation of William Shatner, and Zachary Quinto does the same for his turn as Spock. The new Dr. McCoy, though, is in my opinion the best; Karl Urban, best known for his action roles, plays him with the utmost respect for the character but with the most similarity to the previous actor, DeForest Kelley. Leonard Nimoy returns as the future Spock, and he connects new ‘Trek’ to old ‘Trek, letting us all know that this is still the franchise we know and love. The villain, Nero (played by Eric Bana), from the future, feels underdeveloped, but is still threatening and badass enough. 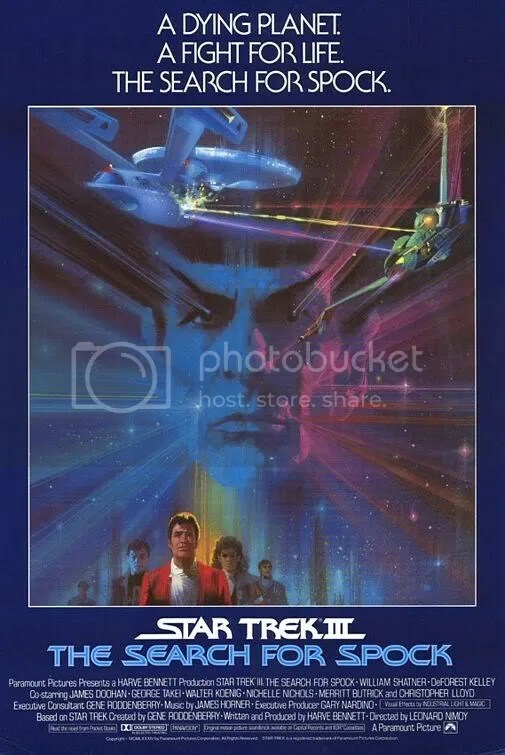 A very memorable, stirring, intense, optimistic, and bold feature, that’s easily the most cinematic of all the ‘Star Trek’ films, and can stand toe-to-toe with even the classic ‘Wrath of Khan’.